As the saying goes, you only have one chance to make a first impression. That includes your home! The first thing your friends and visitors will see is your front door. Let it say something for you! 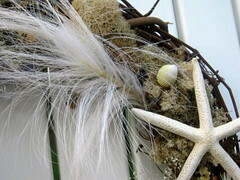 From your traditional wreath, there are also baskets and floral sprays that can speak to who you are. We can accommodate any personality or style. From classic to contemporary, free-spirited to traditional, we can create that added touch to your home. And it doesn’t stop at the front door. Flowers can be that final touch that makes your house a home. From hallways to bathrooms, to bedrooms and dining rooms, flowers can express warmth and personality without saying a word. 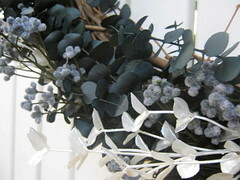 The simple form of a custom wreath is very appealing and can be decorated in a wide variety of ways. Flowers, berries, pods, grasses, twigs and fruits, along with ribbons, bows, ornaments and toys are only a few of the items that are incorporated into a modern flower wreath. Home decor has evolved into much more than paint colors and fabrics. 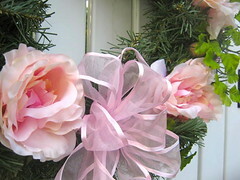 Let your home stand out from the crowd with a Jen’s Custom Wreath. We offer beautiful custom wreaths for all occasions – from weddings to holidays – and seasonal wreaths – from spring to summer and much more! With something for every style and budget, you simply won’t find a better selection anywhere else. 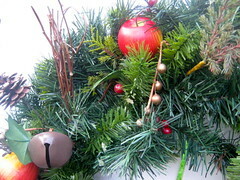 We hope you will have a Jen’s Custom Wreath or floral design in your home soon. Ask about our baskets and centerpieces! Click on the tabs on the black bar above or under the “Pages” to the right to view some of our current designs. Special orders incorporating your color/scheme are always welcome. Enter your email address to subscribe to this blog and receive notifications of new designs and promotions by email.